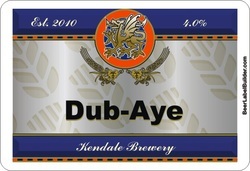 Beer name: 'Dub-Aye' inspired by my brother-in-laws current home location in Dubai.... and with a Yorkshire twist of course. 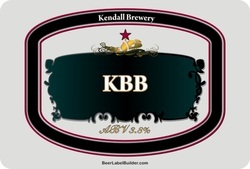 Beer name: 'Kendall Brewey Bitter or KBB' a brew named after my lack of inspiration for a beer name. 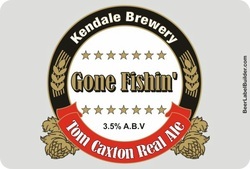 Beer name: 'Gone Fishin' inspired by my brother's stag weekend fishing trip in Whitby. 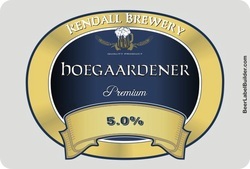 Beer name: 'Hoegaardener' to remind me of those crazy summer days working like an idiot in my garden, just to keep on top of the weeding. Mmmmm nice cold wheat beer.